I was born in 1958, when Dwight Eisenhower was president, Fidel Castro was fighting the Batista regime in Cuba, and cameramen were only allowed to film Elvis Presley from the waist up. Throughout most of my life, mainstream society viewed marijuana as “the devil’s weed.” For the counterculture of the 1960s, smoking pot was an illegal act of rebellion. And today? In many cities throughout America and Canada, it’s as easy to get marijuana delivered to your front door as pizza. The legalization of cannabis is one of the greatest investment opportunities in a generation. However, when the news is out about an industry’s good fortunes, the rest of the investment herd piles in. The boom-bust cycle inexorably kicks in. That brings me to the topic of Supreme Cannabis (OTC: SPRWF, TSXV: FIRE), a $473 million cap producer of cannabis. Hot stock or disaster waiting to happen? The dilemma with marijuana plays is trying to determine which ones become lasting businesses. Many will simply vanish into the black hole of penny stock failures. Who succeeds and who doesn’t? Our SPRWF stock prediction will examine all of these issues and provide answers. Toronto-based Supreme Cannabis produces and distributes consumer-centric proprietary cannabis plant products. Supreme owns 7Acres, the first licensed producer in Canada for high-quality cannabis. The model is business-to-business; 7Acres doesn’t deal with packaging, retail sales, doctor education, or clinics. Instead, Supreme Cannabis sells its product at the business level and lets it filter down to whatever market desires it. How Has Supreme Cannabis Stock Performed? What is Supreme Cannabis’ Stock History? Over the past 12 months, SPRWF shares have risen 27.3% whereas the S&P 500 has risen 8.1%. Over the past two years, SPRWF shares have gained 26.3% whereas the S&P 500 has gained 23.6%. How Has Supreme Cannabis Performed in 2017/2018? In 2017, SPRWF shares gained 54.6% whereas the S&P 500 gained 19.4%. In 2018, SPRWF shares fell 63.7% whereas the S&P 500 lost 7.5%. Who Are Supreme Cannabis’ Rivals? Based in Smith Falls, Canada, Canopy Growth grows and sells medical cannabis in Canada and around the world. Its products include dried flowers, oils and concentrates, softgel capsules, and hemps. The company (market cap: $14.8 billion) offers its products under the Tweed, Black Label, Spectrum Cannabis, DNA Genetics, Leafs By Snoop, Bedrocan Canada, CraftGrow, and Foria brand names. Founded in 2014, Canopy Growth by 2016 was Canada’s first cannabis “unicorn” with a $1 billion dollar valuation. The company went on to become the first federally regulated, publicly traded cannabis producer in North America. Aurora Cannabis (market cap: $9 billion ) operates in 22 countries and holds partnership agreements with several drug retail chains for the distribution, sale, and marketing of medical cannabis products. Scotts Miracle-Gro (market cap: $4.5 billion) is famous for its lawn care products. Scotts offers products that include hydroponics, plant cultivation and plant nutrients through its Vermicrop Organics brand. This lawn care juggernaut has made major investments in marijuana-based companies and poses significant competition to the smaller fry. Notably, Scotts owns 80% of marijuana industry player Aerogrow International (OTC: AERO). The legalization drive, thanks to the pot lobby, indicates that the marijuana market will be huge. Polls consistently show that most Americans want marijuana legalized. Now that marijuana has been legalized in Canada, Supreme Cannabis has a lot to cheer about. It’s not likely that Canada will reverse itself, because marijuana sales in the country are on track to generate about $5 billion in annual tax revenues. Meanwhile, on the medical side, Health Canada says registered clients are growing at a 10% monthly clip. Here’s a video in which Navdeep Dhaliwal, CEO of Supreme Cannabis, discusses the growth potential of his company. CEO Dhaliwal does indeed have some bragging rights. 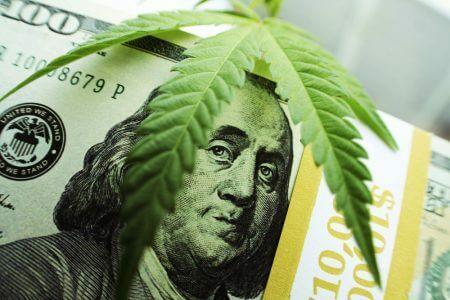 For its second quarter of fiscal 2019, Supreme Cannabis posted $7.72 million in revenue, representing a whopping 350% year-over-year increase. That number also reflects a big jump from the previous quarter, when revenue came in at $5.1 million. Alas, the second quarter witnessed a net loss for Supreme of slightly over $1.5 million. On the bright side, that figure was down from the loss of $2 million posted in the same year-ago period. It’s encouraging that Supreme Cannabis and its 7Acres subsidiary brand have been in expansion mode. In January, Supreme completed a new phase of construction for a greenhouse facility in Canada, with 19 out of a planned 25 flowering rooms now operational and producing 7Acres products. 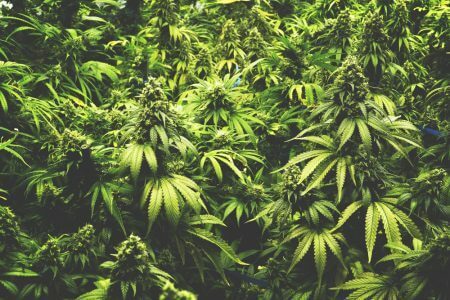 7Acres this year also secured supply agreements in Canada to provide marijuana to the New Brunswick Liquor Corporation and the province of Saskatchewan. These deals convey to 7Acres a widespread distribution infrastructure as well as new customers. The proposed bill seeks to expedite the provision of financial services to cannabis companies by removing the fear of potential federal action against lenders. Many banks are reluctant to lend to marijuana businesses because of uncertainty over the industry’s legal status. Supreme Cannabis entails many serious risks. For starters, the company continues to lose money, with a profit margin (most recent quarter) of -54.5%. Additional risk derives from the hype that accompanies marijuana stocks. Most investors see the obvious potential but few stop to look at the dangers… or the income statements. One of the biggest obstacles? Marijuana is a commodity. After all, it’s only a plant. The crucial factors that distinguish commoditized products are marketing and customer service. While the quality of marijuana may be a distinguishing factor for a while, that gap will narrow quickly. Meanwhile, the U.S. may experience a political backlash against marijuana legalization. Social conservatives, who dominate thinking in the White House right now, oppose legalization. Unforeseen health risks may arise, too. The black market has expanded, as the criminal element chooses to grow legally and then sell out of state illegally. Felony marijuana arrests are increasing. The more information that comes out, the more likely it will be that these bad effects take a toll. If people buy into marijuana stocks and the legalization trend halts, pot stocks will tumble. Despite the bear case that I outlined above concerning marijuana, legalization of the weed appears to be an unstoppable trend. Well-capitalized cannabis companies with growing earnings are likely to expand, meet demand, and reward investors. But money-losing penny stocks such as Supreme Cannabis are in a precarious position. Penny stocks are intrinsically risky. Some succeed, of course, but you must stick to quality. Supreme Cannabis is unprofitable and offers nothing special. Marijuana remains an exciting investment opportunity, but the weakest companies are about to get weeded out (pun intended). When the cannabis sector shake-out finally occurs, Supreme Cannabis probably won’t survive. Consolidation will favor its bigger rivals. The silver lining here is that Supreme Cannabis could get bought out, which would be a boon for its shareholders. But there have been no indications of a buyer in the wings and that’s a slim reed on which to base your hopes. Supreme Cannabis may have the alluring word “cannabis” in its title, but it has red ink on its books. Avoid the stock. To be sure, the marijuana industry is an exciting investment opportunity. But put your hard-earned dollars into cannabis companies that are actually making money.